This hostel has a great location. Right in the centre of Santiago's pumping streets (at night you'll meet plenty of samba dancers and drummers), anyone with a penchant for the Chilean party spirit won't be disappointed. H Rado is also happily close to the city's biggest tourist attractions, so you won't have to travel far to experience the best of the city. Patio Bellavista, Rio Mapocho and Parque Foresta are all within 200 meters and the Baquendo Metro Station (Sanitago's main metro station) is just a 5 minute walk. Our boutique hostel was fully renovated in December 2011 to provide better design, spaces and infrastructure to satisfy the expectations of travellers looking for more. Were in the heart of Barrio Bellavista, just steps from some of the best restaurants, cultural centres and nightclubs in the country. Our private rooms are designed to feel like hotel rooms, while our common areas provide a comfortable space to interact with your friends or meet your fellow guests. The common areas include a 30m kitchen, computer room, living room and great terraces. Theres over 250m of common space available!! We carefully selected the best furniture, decoration, safety equipment and lighting for this four-story building to provide comfort for our guests. We recently installed Air Conditioning in every room, becoming the first hostel in Chile to offer this service. Come discover Santiago from the finest boutique hostel around. Everything was just great. Really appreciated the details like USB chargers. Staff speaks good English and are helpful with travel tips. 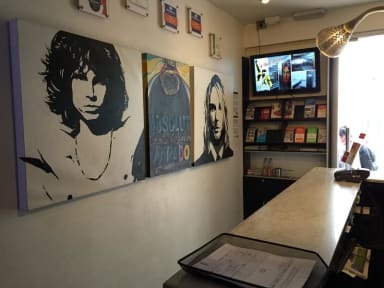 Best hostel during my stay in South America. Almost hotel-like. Wow. Impressive, super-clean and spacious rooms. Very good breakfast. Helpful staff. Probably best hostel in South America so far. Just didn't connect with any travellers which was a pity... but perhaps my own doing. Amazing location! The rooms were very clean and the rooftop patio was great! Great comfortable stay, wish we could have stayed longer. Facilities are top notch and the hostel is located / surrounded by plentiful food options. My only con was the dorm door alarm which would sound if you hadn’t closed the door with 0.1 seconds. Great hostel in Bellavista. The rooms are superb and lockers were big enough to keep your whole backpack in which is a bonus! En-suite is clean and the best bathrooms I’ve had in a hostel. Breakfast which is served on the 4th floor each morning is also great. 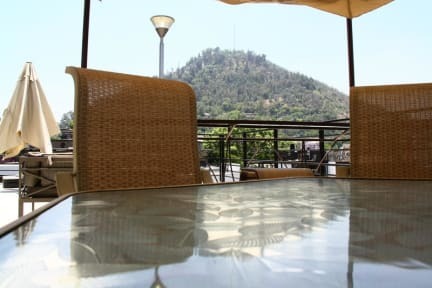 Rooftop is great for chilling with a great view of Cerro Saint Cristóbal :) Reception were extremely helpful in organising transfers to and front the airport. Very busy hostel in Bellavista across from university (sometimes noisy) but great location plenty to see in walking distance. Rooms cleaned daily great individual charge points & reading light on each bunk. Shared bathroom cleaned regularly. Staff generally helpful. Breakfast very basic cold meat cheese bread ‘juice’. Would stay again. Decent hostel and clean! Staff speaks english. Breakfast is a good one (finally!). Walk to the centre is 10-15 mins, I find it no problem. Taxi from/to the airport is around 30-35 USD so please take the metro and bus (only 4 USD and easy to do). Well located, some staff were more helpful than others. Great roof terrace to sit up on. Room was really big and shower was good.